Is Your HP PC or Laptop Spying on You? 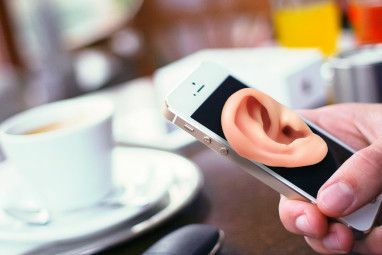 How do you feel about spyware? Repulsed by the idea of software on your computer recording your activities? Tools that record what software you use, the websites you visit, and perhaps even access your webcam, are typically employed by hackers and scammers. You certainly wouldn’t expect to find such a tool pre-installed on your computer by the manufacturer, would you? Yet this is exactly what many have accused HP of recently. But surely a company of that size wouldn’t have put their hard-won reputation on the line… would they? Let’s find out what has happened, why HP installed the software, and how you can remove it. Why Would a PC Manufacturer Spy on its Customers? Computer manufacturers have good reasons to monitor how their hardware is used. Telemetry data is vital, and it’s not like Windows PCs aren’t already sharing such data Privacy and Windows 10: Your Guide to Windows Telemetry Privacy and Windows 10: Your Guide to Windows Telemetry With the advent of the Windows 10 Creator's Update, Microsoft seems to have decided to be more transparent about their data gathering activities. Find out how much is gathered, and what you can do. Read More . Let’s be honest: PCs and laptops are more complicated than ever before. Sharing such data with the manufacturer enables them to assess how drivers are running, what apps perform well, why the operating system fails, and so on. It makes sense: consoles share telemetry data, as do smartphones and tablets. But telemetry data is not spyware. They may seem similar, but there is a clear distinction: telemetry data is non-identifiable. Regardless, finding new software “appearing” on your PC without your consent is uncomfortable. 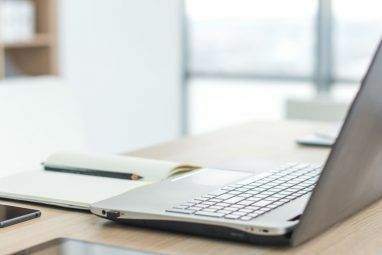 Following the seemingly automated installation of the HP Touchpoint Analytics, users were quick to take to the HP forums. The first user reporting HP Touchpoint Manager’s appearance was krzemien. It’s believed the majority of HP laptops have this software installed. But what has the manufacturer got to say about it? Strenuous denials have been issued from HP Inc. Mike Nash, HP’s vice president of customer experience for personal systems, explained that the HP Touchpoint Analytics tool has been around for several years. Why did no one notice? Because it was previously integrated with the HP Support Assistant troubleshooting tool. HP has also released a statement. “HP Touchpoint Analytics is a service we have offered since 2014 as part of HP Support Assistant. It anonymously collects diagnostic information about hardware performance. No data is shared with HP unless access is expressly granted. Customers can opt-out or uninstall the service at any time. It’s also worth noting that the HP Support Assistant prompts for permission to share telemetry data when the app is installed. A recent update to the Support Assistant has prompted some different behaviour from HP Touchpoint Analytics, it seems, included increased resource usage. This is believed to be due to testing, although the Touchpoint Analytics software is also capable of downloading updates. Manufacturer Malware? Lenovo Beat HP to It! It’s certainly not the first time a PC manufacturer has been accused of something like this. Last time, however, the evidence was pretty comprehensive: Lenovo pre-installed malware in various laptops in late 2014 Lenovo Laptop Owners Beware: Your Device May Have Preinstalled Malware Lenovo Laptop Owners Beware: Your Device May Have Preinstalled Malware Chinese computer manufacturer Lenovo has admitted that laptops shipped to stores and consumers in late 2014 had malware preinstalled. Read More . The so-called “Superfish” browser hijack also enabled man-in-the-middle attacks, and while they offered a tool to repair the SSL hijack Superfish Hasn't Been Caught Yet: SSL Hijacking Explained Superfish Hasn't Been Caught Yet: SSL Hijacking Explained Lenovo's Superfish malware caused a stir, but the story's not over. Even if you removed the adware from your computer, the same vulnerabilty exists in other online applications. Read More , as many as three models of Lenovo laptop Now It's THREE Pre-Installed Malwares on Lenovo Laptops Now It's THREE Pre-Installed Malwares on Lenovo Laptops For the third time in a year, Lenovo have been caught shipping customers computers laden with privacy-unfriendly malware, showing that they haven't learned the lessons from the public outcry over Superfish. Read More were believed to be affected. As a Lenovo user at the time, I personally resolved never to use their equipment again. Especially when it turned out that Superfish was just the tip of the iceberg 4 Security Reasons Why You Should Avoid Lenovo PCs 4 Security Reasons Why You Should Avoid Lenovo PCs Read More . That’s not to say HP has been entirely transparent. Privacy concerns over HP laptops is nothing new. In early 2017, it transpired that an audio driver from Conexant was logging every keystroke Your HP Laptop May Be Logging Your Every Keystroke Your HP Laptop May Be Logging Your Every Keystroke If you own an HP laptop or tablet you may have had every single thing you've typed on it logged and stored on your hard drive. Which is nice. Read More . The security and privacy implications of this are considerable. If you’re unaware, keyloggers are capable of recording everything you type. Emails, web searches, key presses in games… and passwords. This particular keylogger would store everything in a text file on your hard drive. Rebooting will stop this, but old data can potentially still be retrieved. Our guide to investigating this, and removing/upgrading the driver, will help you to avoid this problem on your HP computer How to Stop Your HP Computer From Logging Your Keys How to Stop Your HP Computer From Logging Your Keys What if your computer recorded everything you typed in an insecure text file anyone could read? If you're using an HP computer, that could be true for you. Read More . Noticed some unwanted performance hits from the HP Touchpoint Analytics software, or simply want to remove it? It’s simple. Begin by opening your Windows Control Panel (WIN + R, type control panel and click OK), then click Uninstall a program. Find and select HP Touchpoint Analytics Client, then click Uninstall/Change. Note that some versions of the software have a different name: for example, HP Touchpoint Manager. If the software you find begins “HP Touchpoint” then it’s almost certainly the same telemetry software — uninstall it. Meanwhile, you can disable the service without uninstalling the HP Touchpoint Analytics Client software. This isn’t necessary if you have already uninstalled. Press Windows Key + R then input services.msc and click OK to open the Services screen, then find the entry for HP Touchpoint Analytics. Right-click and select Properties, then find the Startup type box. Here, select Disabled, then under Service Status, click Stop. Confirm your changes with OK.
Running a comprehensive security suite is one option. Many of the antivirus packages in our best of list will do the job. But you should also complement this with a secondary tool, such as Malwarebytes. At the very least, Windows users should be running Windows Defender. 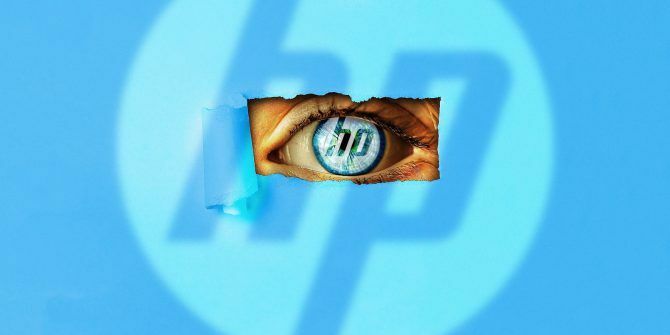 Were you hit by HP’s alleged spyware? Do you have concerns over bloatware installed on your PC or laptop? Tell us about it in the comments box. Explore more about: Computer Privacy, Spyware, Surveillance. Worse Than Phishing: What Is a Whaling Cyberattack?Android vs. iPhone: Which Is More Secure in 2017? AS a Linux user, I don't think I've had the displeasure of dealing with this. By keeping RKhunter, and CHRootkit handy I can check for and remove anything I don't want on my machines....(I use Lenovo desktops and laptops and they all run Linux!) I think we, as consumers need to take back control of our computers and should be told up front if there's something installed on the system that isn't something we want or need. Its funny though...if you or I were to create a program that performed like this Touchpoint stuff?...we'd be accused of Invasion Of Privacy, Endangering the Welfare Of A Minor, Illegal Surveillance...etc. I don't see why HP or Lenovo or ANY company should be given a pass, I thnk they should be fined.....HEAVILY....so that they learn from their actions. Of what possible use to me is HP Touchpoint Analytics? If I can't use the software for my purposes, I don't want it on my system. HP's assurances that it is gathering the data to make future machines better sounds like one of the Great Lies - I'm from the government. I'me here to help you.